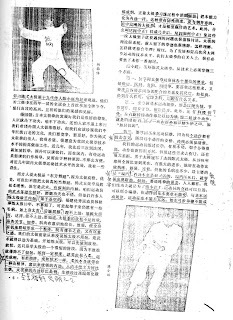 I came across an interesting article published in a Chinese martial arts magazine some years ago in which the current heads of Yang and Chen family gave their views on the development of Taijiquan. The first statement by Yang Zhenduo – bear in mind that this is addressing a Chinese audience – was: “The development and progress made by the Japanese in Taijiquan sets us a very good challenge. They have put in great effort. If we don’t follow suit, we should be worried that they will surpass us”! Later in the article he spoke of Taijiquan in the West: “People in the West describe Taijiquan as an Eastern dance because Taijiquan's movement is elegant and beautiful to look at. But we should not regard Taijiquan as a dance…although Taijiquan is soft, relaxed and slow, IT IS A MARTIAL ART”! The different way he perceived Taijiquan in Japan and the West was depressing (unless you happen to be Japanese), but not really surprising. In the last few weeks several articles have been published in the British national press praising “the effectiveness of Tai Chi”. Surely a good thing you would think. One of my students brought me the first article which could be summed up in sentence “Tai Chi is good for older people and helps to stop them falling over so much”. Of course we all would agree that that’s a good thing! Another student brought me a second article, which could also be summed up in a single sentence – you guessed it - “Tai Chi is good for older people and helps to stop them from falling over so much”! Today the Daily Mail, in ita female health section, included a guide to “Which Martial Art Should You Choose? Each art was introduced via a brief description of their combat techniques - Aikido: “uses quick and calculated movements in defensive strategies. The two goals of aikido are to overcome the opponent and to throw the opponent”. Judo: “concentrates on subduing opponents with throws and holds”. Ju jitsu: “includes kicking, striking, kneeing, choking, joint locking and immobilisation”. Thai kick boxing: “includes powerful and aggressive kicking techniques”. The one exception – you guessed it - Tai chi: “This style of martial art has become more familiar as people seek a relaxing, spiritual and healthy exercise to cope with modern stresses”. 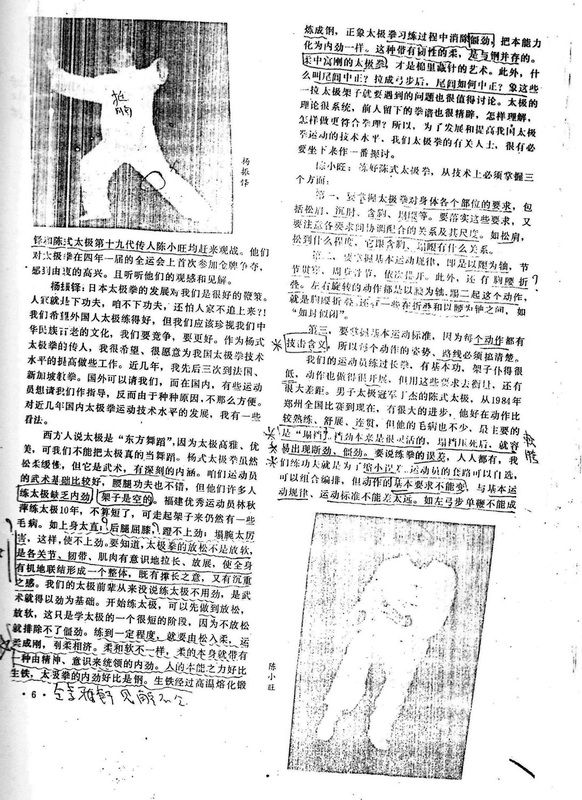 Back to the Chinese article - Chen Xiaowang reinforced the point made by Yang Zhengduo: "iT IS MOST IMPORTANT THAT YOU SHOULD NOT LOSE THE CONTENT OF DEFENCE AND ATTACK - THIS IS THE BASIC REQUIREMENT OF TAIJIQUAN!" 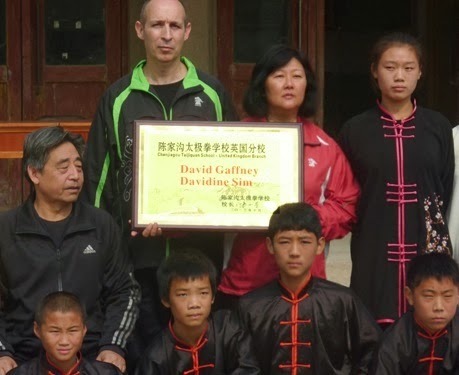 At the time of writing he warned of the danger of presenting Taijiquan in such a way that people no longer understand what it really is: “…I’ve been teaching outside for a long time and am against making Taijiquan mysterious. I don't think Taijiquan’s theory and application should be excessively complicated, and explained with lots of hyperbole and talked about in a very mystical way. One does not need to go around the bush or in circles to explain the theories. Very simply, use the waist as axle and train sequential movement. These are very basic things . There is no need to make it so complicated that no one knows what it is and how to do it”.